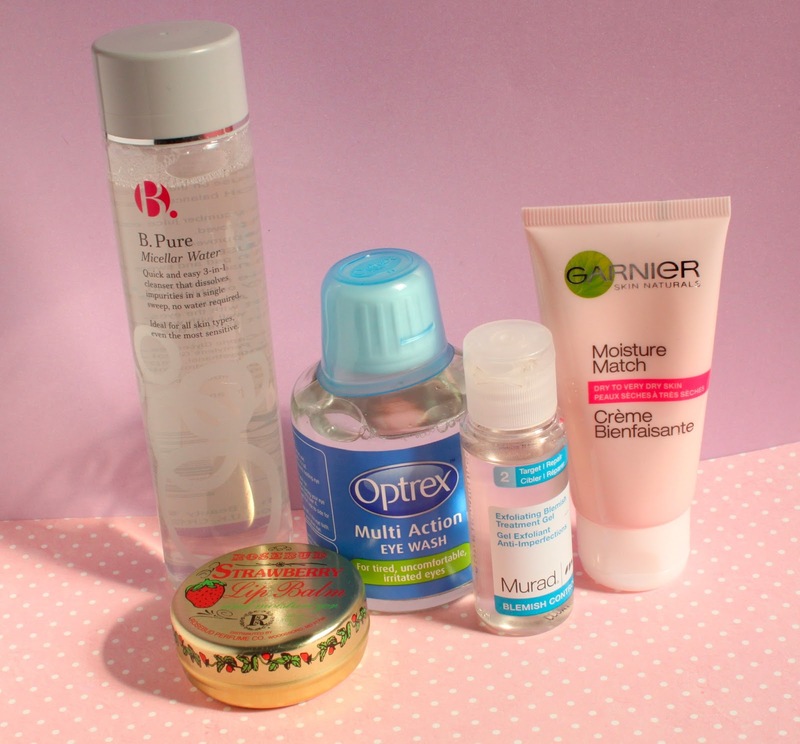 Peppermint Puff's Blog: Products I'm Testing This Month. I thought I would try something new this month, rather then talk about products I love, I thought I would talk about new products that I am testing this month. Then at the end of the month see weather any of the products have made it into my monthly favourites or not! I'm late posting this one this month so I shall carry on until the end of April so I can give each one a fair trial. This month I am testing 5 products! My eyes are really sensitive and I have a lot of trouble finding a makeup remover that doesn't irritate my eyes. I was using Ultrabland from Lush but after a few months of using it, it started to make my eyes feel uncomfortable and left them feeling heavy and sore. So I asked on Beauty Box Swappers for some recommendations and this one was affordable and easy to get a hold of. So I picked up a bottle. you can use it as a daily cleanser but I'm just interested in the makeup removing properties. So far so good, I haven't had any problems with it yet and It removes all of my makeup easily. Staring at screens all day has been wreaking havoc on my eyes recently. I am using this after removing my makeup and on days where I've been looking at screens a lot and it has really helped so far. It's also amazing to see what is still floating around your eye after removing your make-up! I bought this in a blog sale from Jade at JetleyMess as I had heard good things about Murad and I'm willing to try anything to get rid of my Milia. Along with daily light exfoliation I read a few people had used this for Milia, It might not help at all but I have it so I might as well give it a try. I saw these advertised a few times and really liked the idea. I bought the Shine Be Gone and Good Bye Dry. At the moment I am testing Good Bye Dry as the weather is causing real problems with my skin. I do think this could make my Milia worse in the long run but Ill take that risk as it's just so cold! My friends have been using this for a long time and I was always recommended it but I can't really justify £8 on a lip balm. I suffer from constant dry lips. It seems no matter what I use or how much water I drink they are dry. This means I barely ever use lipsticks or glosses or lip products because they look nasty on my dry lips. However I spotted this on sale for £4 and with a little push form Jade & Ali I decided to go for it. I was worried about the smell / taste at first as I don't like artificial fruit flavours in lip products but I must admit I'm already incredibly impressed with it. What are you testing this month?